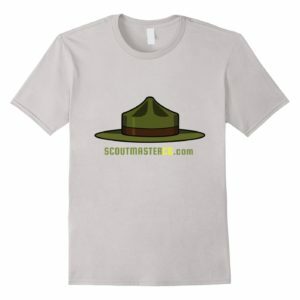 You are here: Home / Scout Parents / Should I Make My Son Stay in Scouts? Should I Make My Son Stay in Scouts? Many Scouts will, at some point, resist going any further in Scouting. When does a parent intervene and make him stay in Scouts? Just about every boy will reach some impasse along the way that will make them reluctant or downright adamant about participating. If you are a Scouting parent it’s more than likely that this is going to happen to you; don’t be surprised. 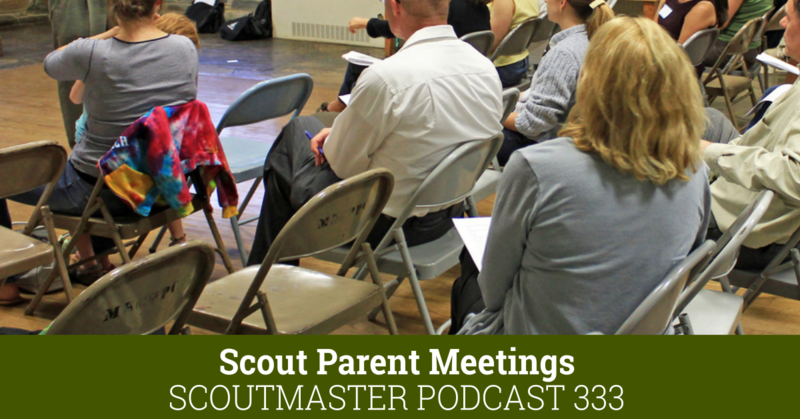 Your son is probably not much different than the millions of other Scouts who preceded him. These concepts are generalities but boys are individuals and every one needs individual attention. As boys grow up they change. They lose interest in some things and become interested in others. Even though this is a healthy, natural, process parents may find it unsettling or confusing. The shifting standards of youth culture at many different levels exert an almost irresistible pressure. Conformity and acceptance are incredibly important to boys. A sudden complete change of attitude could be attributed to something as simple as an offhand remark from a friend or it could also be something more serious like bullying. Any alarmingly sudden shifts in behavior or personality may indicate serious problems. Interpreting and responding to these scenarios is a real challenge for most parents. They tend to catch us off guard and it’s likely that we don’t have a lot of practice or experience in dealing with them. These changes can come at us with surprising speed and complexity. There are three basic concepts that boys need to meet the common challenges of adolescence. I wouldn’t expect boys to articulate these needs, or to even acknowledge them. Quite to the contrary I’d expect a fair amount of resistance to them! As boys grow up and especially during their adolescence they need consistent, secure, predictable experiences and relationships. Much of their world is shifting and changing as they grow and change themselves. As self-assured and arrogant some boys may seem they are encountering changes that make them question their abilities and redefining the way they see themselves. This uncertainty can be invigorating or unsettling, or a bit of both. Boys need expressions of affirmation and confidence especially when they make mistakes in judgement or encounter failure. Boys are defining the borders of their world as they grow into adults. They question rules, they push limits, they resist. They are looking for the reason behind the expectations imposed on them. They appreciate (often begrudgingly) some discipline that helps them focus on these expectations. There are three basic situations to consider: Sometimes boys are ready to move on, sometimes they are in the throes of adolescent uncertainty, sometimes they are clearly headed for trouble. While I am confident that Scouting can benefit any boy sometimes it is in their best interest to move on. They may fill their schedule with other interests, they may grow to abhor camping, they may just be ready to explore new things. I encourage parents in this situation to help their sons make a clear decision. When boys are experiencing the uncertainty of adolescence they need consistency, security, affirmation, confidence, discipline and predictable expectations; all things that Scouting can provide. As a parent I would push him to stay in Scouting. He’ll resist, he’ll complain about it, but I’d keep with it for a few months and reassess the situation. If a boy is headed for trouble (by that I mean his behavior and choices are clearly leading him towards people, places and activities that are going to threaten his education, health or safety) his parents are headed for one of two battles. Would you rather go to battle over making him to stay in Scouting or would you rather deal with the consequences of your son getting into serious trouble? There’s no guarantee but making him stay in Scouting may save you and your son from suffering the consequences of real trouble. Whatever the situation do discuss it with the Scoutmaster. I alway welcome these discussions with parents. If it’s time for a boy to move on I let them know the door is always open should they want to come back. If a boy is going through a rough patch and his folks are pushing him to stay involved I like to know because I can become an ally. If his parents are concerned he’s really headed for trouble and needs help I am on the alert to monitor the situation even more closely. Nearly every Eagle Scout I have known wanted to quit at one time or another and their parents pushed them to stay in Scouts. At their court of honor each new Eagle Scout is given the opportunity to make a few remarks. Almost without exception they thank their parents for the push that helped them decide to stay in Scouting. 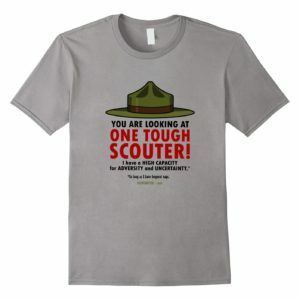 I have a situation where my son is essentially being pushed out of scouts by his scoutmaster. My son is 15 and plays club soccer and high school soccer. For 4 months of the year he can make meetings but not weekend camp outs. For another 4 months, he can make weekend camp outs but not meetings. He is currently a Star scout and can not advance to Life scout because he can not fulfill his responsibility position for 6 months straight. His SM will only let him do patrol leader for his responsibility position when there are many other positions available and there is the option for a special project. My son is basically in the position of choosing soccer or scouts but he isn’t welcome to do both. 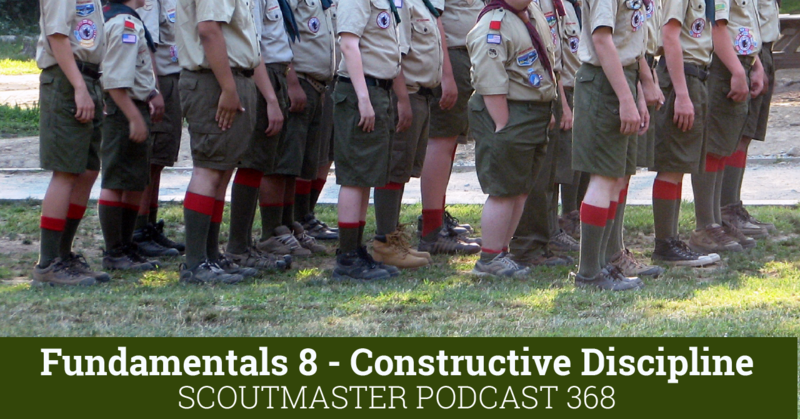 When you have scoutmasters who are unwilling to work with the scouts that have other interests besides scouting, that is when you lose scout too. Sorry to hear that your son is in this situation. 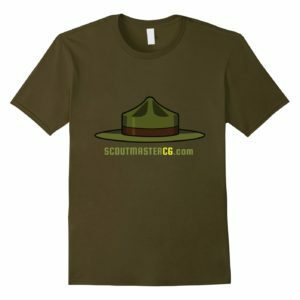 I don’t know why some Scoutmasters are so misguided. The one you describe really has no business being in that position. Your son can go to a different troop where he’d be welcomed and valued rather than marginalized like this. It’s not as big a deal as it sounds to change troops and a Scout may do this at any time and for whatever reason. We want our Scouts doing more than Scouting – we want them out there in the community serving others, playing sports, going to school, contributing to their family. It’s a misguided Scoutmaster who thinks otherwise. Thanks for a great article. My Scout is Tenderfoot and in Pack 77 VFW in Griffin, GA. His goal is Eagle. We encourage him, not push him. BUT…my ex and I were in agreement that he would not be allowed to get a driver’s license OR date until he got Eagle. I don’t know if I like the idea of Eagle being tied to something like getting a license or dating, it could break either way; but so can most of the decisions we make as parents. I can tell you that I would allow myself a lot of room to change my strategy and tactics. Who a boy is at eleven and who he is two or three years later can be worlds apart. I am not a fan of this “get Eagle or else ….” idea either. I decided that with my boys I would not do that. I would rather have them look back fondly on their scouting experiences rather than look back on scouting with an aversion as “something my parents made me do.” There are other ways to encourage a guy to get Eagle. We have a Venture Patrol. It is a virtual patrol that is convened for high adventure, something we do every year. That provides an appropriate challenge for the older Scouts. Some of our Scouts are really committed to leading the troop. 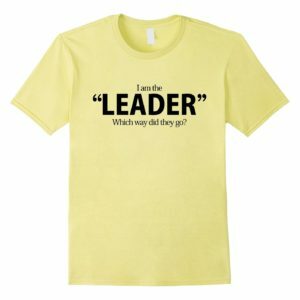 This is great, but not a necessity, remember that Leadership Development is a method, not an aim, and it is only one of eight ways to get to the aims. Get the older guys to Wilderness First Aid training. That is a real challenge that isn’t appropriate for 12 year olds. I dropped out of Scouting in high school. I’d gone to the 1969 Jamboree, but we moved to a different state, the Leadership Corps was unfocused, I taught at one JLT weekend, but that was about it. I got active in backstage work, building sets, running the sound board, even designing sets. But one summer in college, I was Field Sports Director at Worth Ranch and elected to OA there. When we had kids the right age, I thought about my commitment to cheerful service and signed up to be an Assistant Den Leader. Since then, I’ve been a Den Leader, Cubmaster, Scoutmaster, our venture ASM, and I’ve been on treks in the Sierras and at Philmont. So don’t feel like stopping Scouting at age 16 is a failure. That is years and years of great training for character, citizenship, and fitness. Congratulations. Thanks for the thoughts Walter- I totally agree. Scouts don’t fail when they leave us – that’s not how it works. It’s not always a failure of the program either. Asking an older scout they admire/look up to, can offer a peer push in the right direction and usually the older scouts are willing to help. When a guy they look up to, takes an honest interest in them ~notices/calls when they aren’t there, encourages them to finish merit badges, invites them to events~ it can make a world of difference in the wavering Scouts attitude. Scouts has been a place for my nephew to SHINE (an Eagle scout on his 2nd Philmont trip now and off to Northern Tier later this summer). I don’t know where he would be without it. I thank each and everyone of you for your time and commitment to BSA! I see most of the scouting program, at least in the literature and presentation, to be geared for the 13 year old boy. There is a push to get scouts to first class in the first year, That leaves merit badge work to boys aged 12 to 14. My experience has been that boys flee scouting by age 16. By that age, if they have stayed in the troop for 4 years, they are usually a life scout, they have held leadership positions, perhaps even SPL, and Eagle rank is the only thing left to do. They feel that Scouting is for the “little kids”, and since none of their friends are left in the troop, why stay. (at least this is how my own boys expressed it to me). Some return a few months before their 18th birthday to finish Eagle (because it will look good on their college entrance application) and that is their whole focus. Indeed, I left my troop way back when I was 16 because I got a part time job at McDonalds, but I did not come back for the Eagle because my troop had disbanded in my absence. Something happens to a young man at age 16. I have seen it in my own life, in my boys lives, and in many others I have had in my troop. Other scoutmasters talk about the fumes that capture a sixteen year olds heart (perfume, gas fumes, and grill fumes, or girls, cars, and jobs) but I see this as a symptom and not the cause. I believe that at that age a 16 or 17 year old is looking forward to entering the adult world. He is turning his back on the world of his childhood and is taking his first steps into the world of adult responsibilities and adult rewards. The job, the girl, and the car are parts he has seen of the adult world, and he really wants to enter that world. I am not scared of this. It is the natural progression of the process of maturity. If scouting wants to keep these guys, we must give them an age appropriate program, like the old explorers program, or current day venturing. Something that is apart from the troop program (it would be nice if it tied in in some way) but still is scouting at it’s core. I think the guy has to see that this is something other MEN do (climb mountains, explore the wilderness, backpack for miles and miles). Sports shows them this. Pro athletes are admired and emulated as something real men do. Do we present outdoor activities as something real men do. We are starting to. The English scouting association has tapped extreme survivalist Bear Grylls as an adult role model. We should do the same. I absolutely and strongly disagree! 1. Scouts lead their own troop – everyone’s tired of hearing this but it has to happen if you want to retain older Scouts. 2. Let them set their own level of participation. 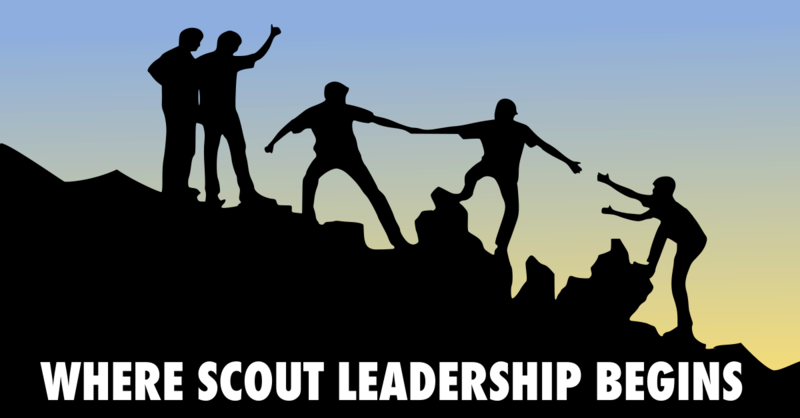 For every highly engaged older Scout in a key leadership position I have one who is less active and engaged because he’s working or involved in other things. I don’t get angry or put policies in place designed to make these Scouts feel bad. The result is a troop that retains About 70% of boys who remain active after their first year until they graduate from high school. Our greatest attrition from year to year is boys turning eighteen, not boys leaving because they aren’t interested. Other than an annual venture patrol trip we have no special older boy program. This is mostly because they are too busy leading their own program. The “fume argument” predates me, I don’t see it. What I do see is older boys who get bored and loose interest because they watch adults lead things and treat them like ‘little kids’. Your last sentence hits the nail on the head. Adults that treat scouts like “Webelos III” and tell them what to do should hardly be surprised if 16-year olds leave. What 16-year old likes to be told what to do?! Our troop is gradually getting there after years of one family singlehandedly “running things”. 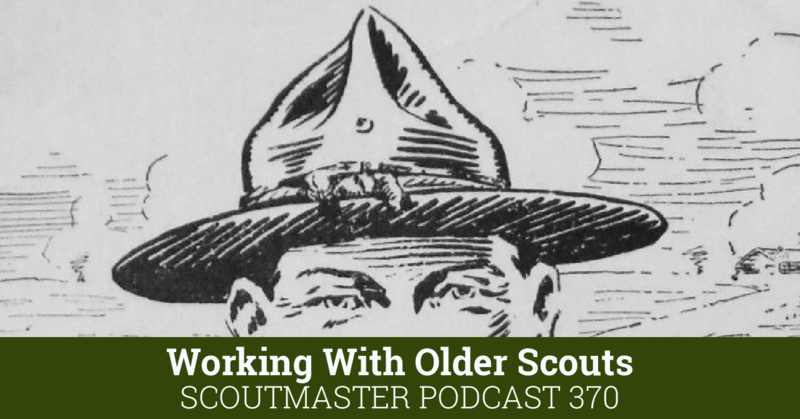 The biggest incentive we can try to give older scouts (and committee members to a degree) to stay active in the troop is to make them honestly feel the troop NEEDS them, and what they are doing is gratifying. And fun. Back to the topic specifically about keeping older boys involved, some other things that I know for me personally kept me in scouts through (and beyond) my 18th birthday was the OA and being on summer camp staff. I still recall how it felt having just turned 16 and getting a call from one of the camp directors at a council summer camp. 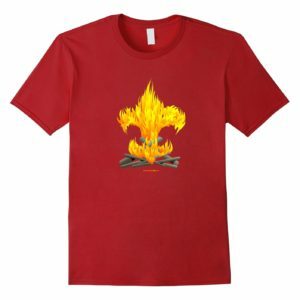 He said my scoutmaster told him I’d make a good ASPL for one of the provisional troops the following week – the last week of the camp season. I’ll point out, up until that point, my highest troop leadership position was patrol Leader. When he said I’d get PAID to do it, I was beyond flattered – I was excited! I laugh about it now – I got paid a whopping $25 for the week! I was hooked on scouting from that point on. For those of you that have ever been on a summer camp staff, you can probably relate. 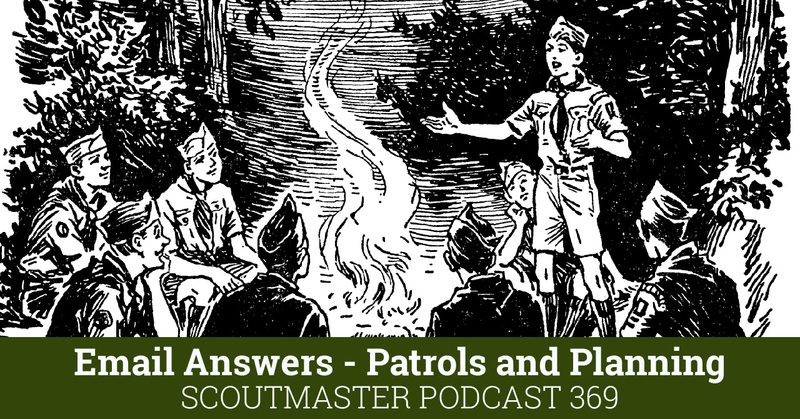 I have fond memories of many years on summer camp staff, and how it lead to other things like being on an OA ceremonial team and realizing that scouting is so much bigger than just my troop. For those of you out there that also stayed in scouts “beyond 16”, I’d like to hear “what kept you hooked?” I figure rather than try to guess what might keep our scouts involved in the troop, why not just ask what has been the carrot for those that did? For me, it was camp staff. So, what’s your story? Maybe a boy just want to do another thing!!! !, averyone is different and like different kind of activities. Some boys like football, some like music, some like dancing, some want to be a priest and some (more like a lot) want to be a scout (like me). A little push to keep them in Scouting is good, but not too much.